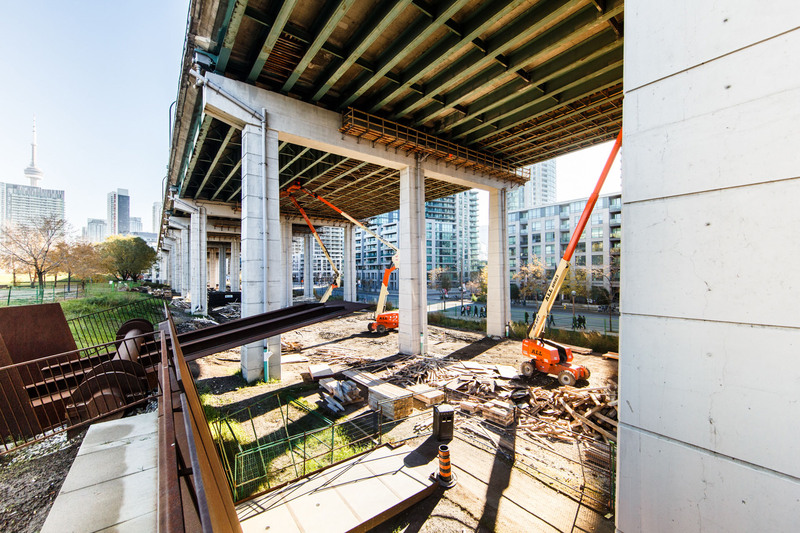 Thanks to a generous private donation, the City of Toronto is reimagining the corridor beneath the Gardiner Expressway as a thriving cultural hub, linking seven neighborhoods as well as several landmarks. 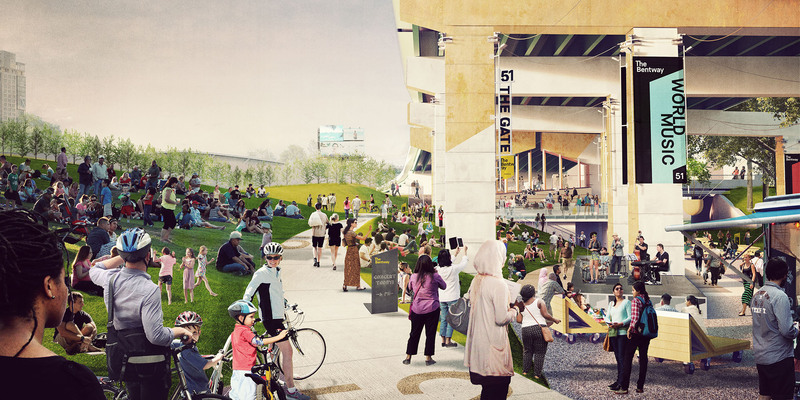 Defined by the series of concrete post-and-beam structural elements (“bents”) that support the Gardiner, this new urban corridor will activate the community with a continuous multi-use trail, and provide access to year-round activities and events, including gardens, a skating rink, recreational amenities, markets, public art, exhibitions, festivals, theatre and musical performances, and more. 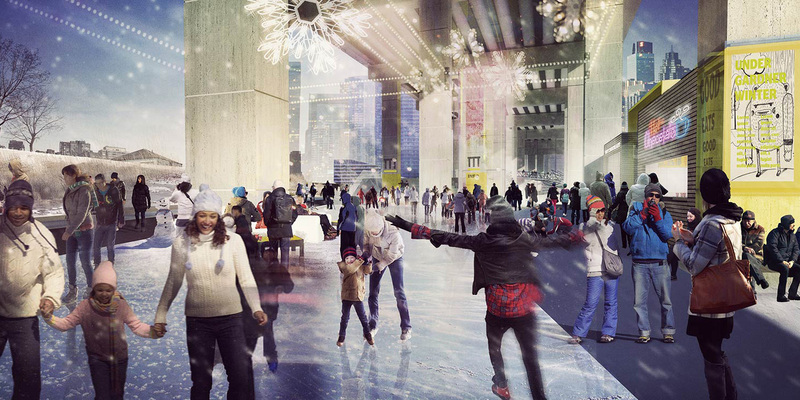 Over time, a connective cultural precinct will emerge that will inspire creativity in a way that only Toronto can. 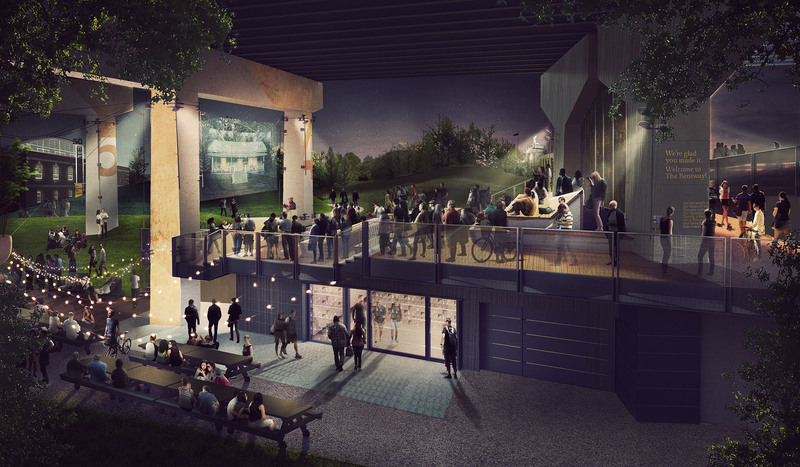 Design Team PUBLIC WORK, Greenberg Consultants, Inc.
New Monuments for New Cities is the inaugural project of the High Line Network Joint Art Initiative, a new collaboration between industrial reuse projects in North America. New Monuments for New Cities is a public art exhibition in which artists were asked to imagine new monuments. Their designs will travel to five cities next year, to be displayed in industrial reuse spaces, beginning in Buffalo Bayou in Houston in February, and ending on the High Line in New York in October. 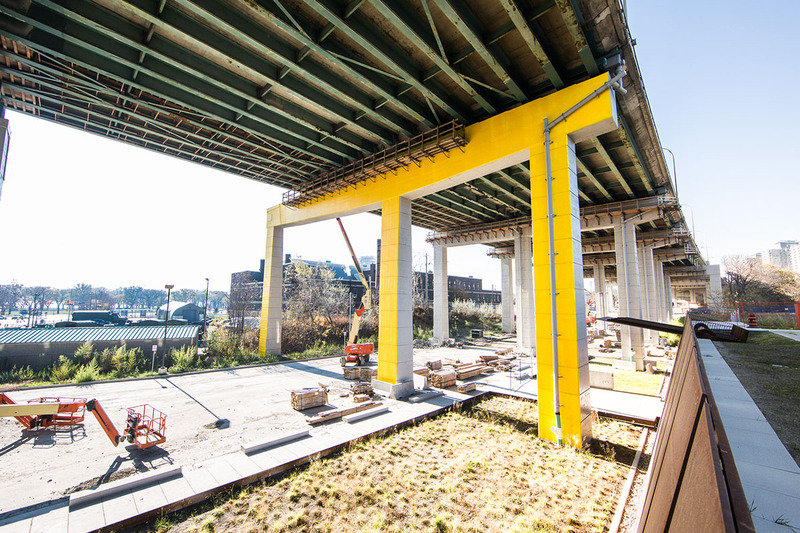 The Bentway’s urban designer, Ken Greenberg, discusses successes and lessons from his forty-year career, the innovations of cities around the world that inspire him, and the challenges of addressing the complexity of today’s urban issues.